Things ain't going according to plan so far. So I'm not exactly singing in my heart. Just racking up more dissapoinments for karma to toss me a bone. Like a friend said, "It just makes the 'Screw you!' sweeter." 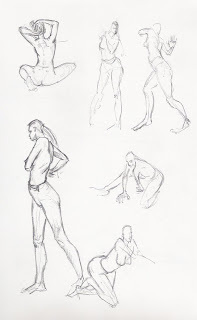 Started going for life drawing sessions with a friend recently. Really enjoying it so far, its bringing the fun back. Although I wish there were more artists around, it does feel a little weird when there's only a couple artists doing their thing. That last one suppose to be somthing for the ongoing UDON competition. It seems to be taking the internet by storm, seeing it almost everywhere. Just playing around with an idea for my piece.